Lifestyle designer, front-end developer, entrepreneur. 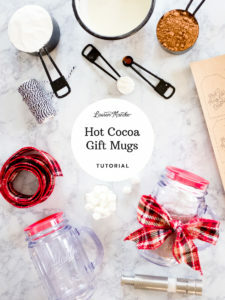 Perfect for your child’s teacher or just a friend, these Hot Cocoa Gift Mugs are easy to make and a fun craft for the whole family. Let your little one do the sifting and mixing themselves, but watch out for those sticky fingers sneaking a mini marshmallow or two. Enjoy a delicious cup yourselves after the gifts have been wrapped. 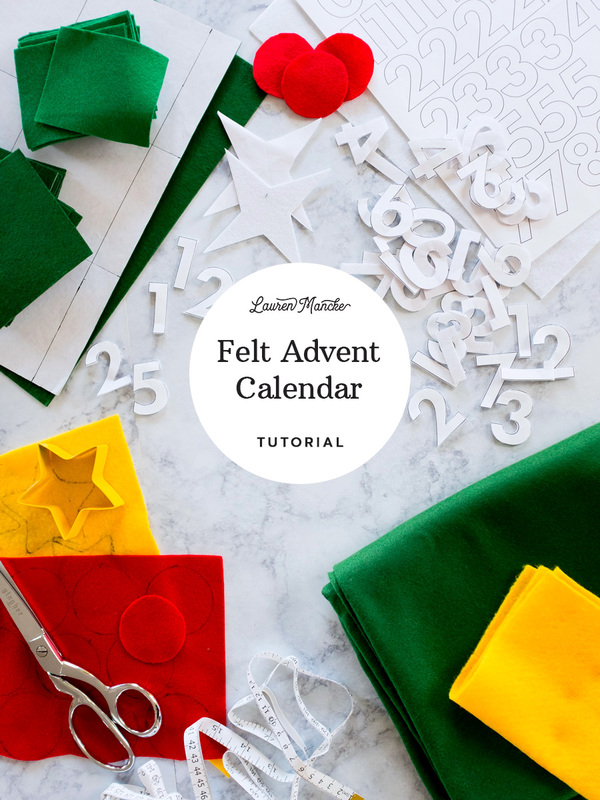 Get our free downloadable gift tag template below to add the serving instructions for your recipient. Sift the cocoa powder and powdered sugar into a large bowl. Add in the milk powder, cornstarch, salt, and cayenne pepper. Stir until well mixed. Pour cocoa mix into a sandwich size ziplock bag and fill a snack size ziplock bag with mini marshmallows. Roll each sealed bag into a cylinder, tucking the ziplock flap down into the center of the column. Place these bags one on top of each other into the mason jar. Add a festive bow with ribbon and gift tag with serving instructions. Serving Instructions: Add 3 Tbsp of cocoa mix to a mug with 2 oz hot milk or water. Stir to combine. Fill with more hot milk or water and enjoy. My son loved making two of these for his teachers at school so much so, he wants to make them for the whole class. This recipe made enough for two of these tumbler mason jars I picked up at the Dollar Tree. Make sure to download our free gift tags template that includes the Hot Cocoa serving instructions. You can print these pdfs on card stock with your inkjet printer. 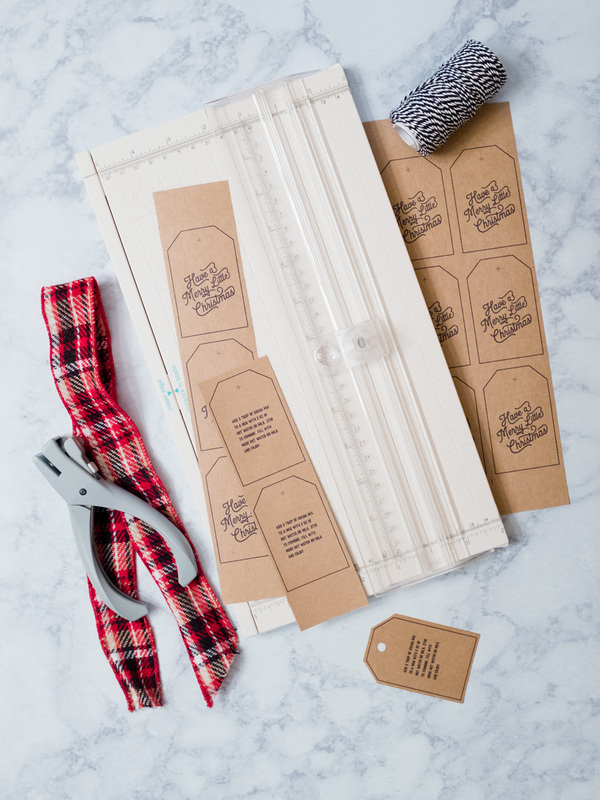 Use scissors or a paper cutter to cut out the individual tag. 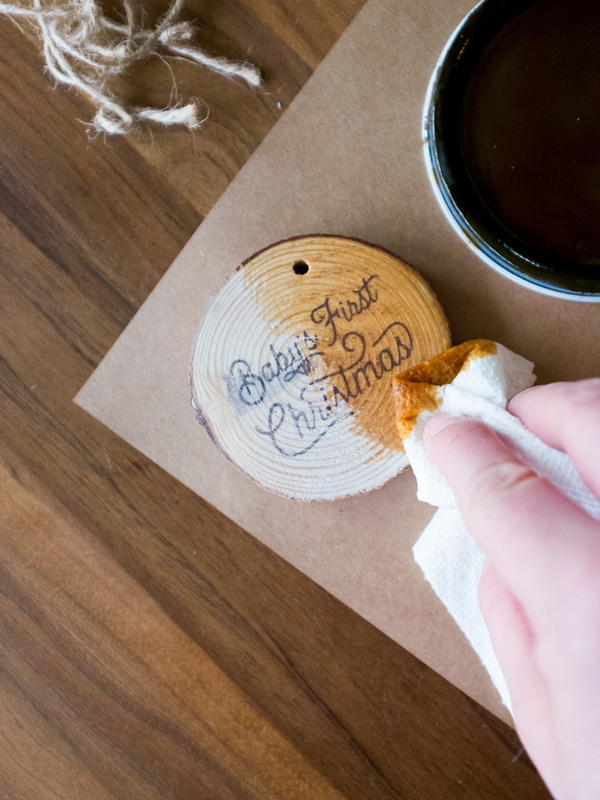 Use a hole punch and a piece of string or twine to complete the tag. Slip the tag’s loop over the top of the mason jar and voilà! Come back tomorrow for more handcrafted goodness as we count down to Christmas with our 12 days of handmade Christmas crafts.